"The president of the [French] Republic agreed to pay a visit to Russia in May at the invitation of Vladimir Putin and participate in the St. Petersburg forum, at which France will be an honorary guest," the communique read. 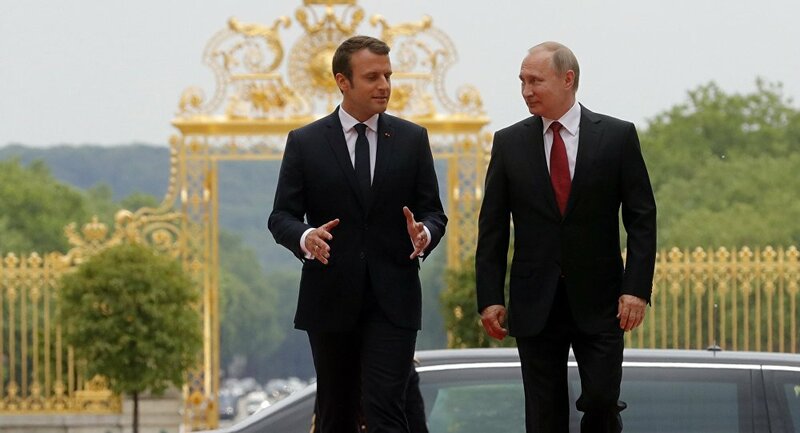 During the talks, Macron reiterated his commitment to a "direct and demanding" dialogue with Russia on all topics of common interest, according to the communique. The French president also asked his Russian counterpart to do everything in his power to improve the humanitarian situation in Syria's provinces of eastern Ghouta and Idlib, according to the document. Macron added that Russian Foreign Minister Sergey Lavrov and his French counterpart Jean-Yves Le Drian would address these issues during their meeting on February 27. On Tuesday, the UN-mandated Independent International Commission of Inquiry on the Syrian Arab Republic expressed concern over the escalation of violence in the Syrian province of Idlib and in eastern Ghouta. 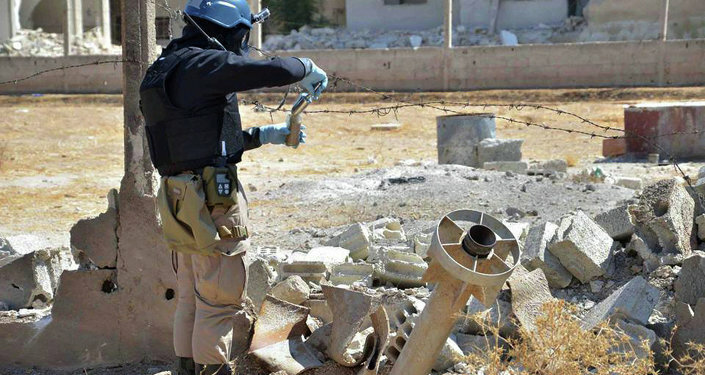 The commission also said it was looking into the reports of chlorine use in Syria. The Russian Foreign Ministry has called the US claims "insinuations," while the country's Defense Ministry refuted the US statement, claiming that it was based on rumors. The Syrian Foreign Ministry has called the US accusations groundless and condemned the statement.